Working in an office all day has its perks. In most cases you get to sit down in an air conditioned room and do what you love to do. But if there is one experience that every office worker has to battle every day, it’s the urge to fall asleep on the job. And that can be pretty embarrassing when your co-workers hound you for the next week for dozing off in a meeting or at your own desk. Naturally, as your favorite marketing and web design company in Utah, we have come up with some ideas to help you get the boost of energy you need. The next time your eyes start to feel heavy try these tips to give yourself a boost of energy right inside your office building. Laughter is a natural energizer for the body. And when you laugh endorphins are produced that create chemicals in the brain stimulating a “feel-good” effect. Take 15 minutes out of your work schedule to watch a funny video or sign up for the joke of the day. Energy is like yawning, it’s highly contagious and easily transferred from one person to the next. Not only is it energizing to plan something nice for someone else, but the actual act of giving also creates a natural high. This act can leave you with lots of energy and improve your work atmosphere by creating positive feelings towards those you work with. Chocolate has a healthy amount of caffeine that can give you a quick boost of energy, but that’s not the only reason this snack is on our list. 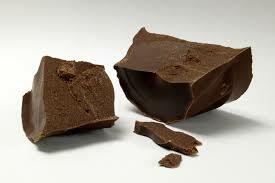 In addition to caffeine, chocolate contains flavonoids found in the cocoa that is used to make chocolate. Studies have shown that flavonoids increase your cognitive skills and improve your mood. This tip might sound like it will make you more tired, but increased blood flow and heart rate actually boosts your energy. Most office buildings have a set of stairs that you can use. Take 10 minutes to walk up and down the stairs to get your blood pumping in your body, and your increased heart rate is a sure way to wake you up. If all else fails you can always put your head down for a fifteen minute power nap. Good luck in your efforts to stay awake and attentive all hours of the day!